Ooh, a New Joining Offer! Well, that’s nice, isn’t it? I think to be able to start a new business, from just £30, with loads of support and no targets is tempting enough (well, I was tempted, wasn’t I?! ), and now there’s more! For anyone who joins in January, there are also some potential freebies! You can read more about them here and as always, do feel free to ask me anything at all. I started selling cards back in August 2010 when my daughter was 10 months old. She’s now 4, I have a 16 month old son, and I’m still going strong! I think the key, for me anyway, is that the business is so flexible. I do as much or as little as I want, at times to suit me, and sell in whichever ways suit me, too. And the greatest appeal is that I love the cards, think the products all represent great value and I’m proud to be selling British, not-on-the-high-street wares. So Happy New Year to you, and I’m here if you’d like to get in touch about doing this, too, or if you’d like to buy – www.jocelynscards.co.uk – the new January range is there, too! This entry was posted in My Growing Team on January 2, 2014 by thereadingresidence. I am here to help! Orders from my website are with you within 3-5 days, so order over this weekend, and you’ll receive it in time for Christmas. For keeping the kids amused, how about..
And a few last minute gifts.. There are plenty of other jotter pads, too. And there are other activity packs and stationery sets. And while you’re grabbing a few things, why not get yourself ready for an organised new year, with this! The shop is also stocked full of every day greetings cards, including special occasion cards, all priced at £1.50 each, or buy any 10 or more and they’ll cost just £1.20 each. This entry was posted in Gorgeous Products and tagged Christmas, Greeting Cards, Phoenix cards on December 13, 2013 by thereadingresidence. Christmas is Keeping Me Busy! I’m still here, still beavering about with my cards! As you’d expect, at this time of year, I can get a little busy. I’ve concentrated on mainly doing home coffee and cards for my regular customers this season, which I’ve hugely enjoyed. They have a really nice atmosphere, are very informal and it’s great to chat to people about Phoenix and show off the current range. 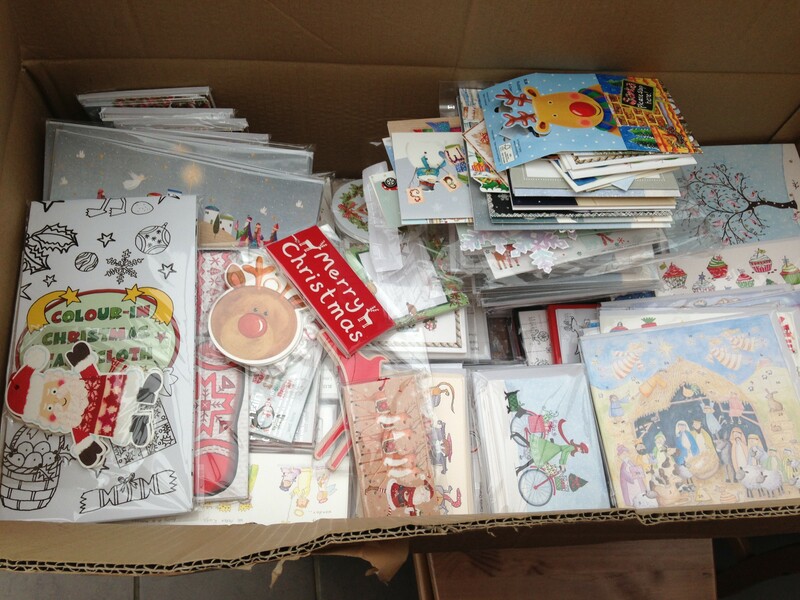 I hold plenty of stock and always take a bag of samples of all of the current Christmas card packs. People do like to see them and then I take orders of any I’ve not got in stock to deliver back at a later date. A party tends to last for an hour and a half to two hours, and it’s always time well-spent for me, and an easy, laid-back way to shop for everyone. My regular customers, of course, are continuing to order and my team are all out there getting on with it! I’ve been delighted to welcome Julie, Louise and Emma in the last few weeks, too. So, as I mentioned, busy! And top-sellers at the moment? And, I’m always happy to get a little busier, so do feel free to order from me at www.jocelynscards.co.uk, or ask me for a little free information about doing this yourself, too (email joloreading@gmail.com or tweet me at @IHaveCards) – I’d hate to get a restful period this month! This entry was posted in My Activities, My Growing Team on November 13, 2013 by thereadingresidence. I have been busy, so sorry to have not reported in sooner on this! I’ve been doing plenty of parties, orders from both regular and new customers are coming in thick and fast now, and I’ve lovely new traders, too. It’s a sure sign that we’ve hit busy season! I love these! 30 note cards with 30 brown ribbed envelopes, presented in this cute little case. They’re already proving popular and I can see them flying out as they will make such lovely Christmas gifts for cat-lovers. So sweet! As with all of the cards, this is blank inside for your own message. There is also a cat version, too. This game comes with 4 A5 lotto boards and will be perfect for getting everybody into the Christmas mood! My daughter will definitely be needing these! She loves colouring in anyway, and then there are finger puppets to play with – love them! Hope you like these, too – the full range, including all of the new and Christmas products can be bought from my shop now, and you can expect delivery to you within 3-5 days. This entry was posted in Gorgeous Products, Picks of the week and tagged Christmas, Greeting card, Phoenix cards, Phoenix Trading, Shopping, Stationery on October 21, 2013 by thereadingresidence. Special Offer! Free P&P 3 days only! With the fabulous new autumn range now out and all of the Christmas goodies in my shop, now is a good time to browse and buy! With that in mind, and because it’s Friday so I’m feeling happy, I’m offering FREE P&P (UK only) on all orders, whether for £3 or £300! This offer’s available from now until midnight Sunday 13th October 2013. Stock up on your every day cards, stationery sets, gift wrap, and of course get your Christmas cards in and I’d definitely recommend checking out the advent calendar range, the quirky advent calendar cards and fabulous paper chains. Remember you can email me specific items and codes and/or best-seller packs if you haven’t the time or inclination to choose lots of individual cards. You must place these orders by emailing me, as my website ships straight from Head Office and cannot honour this offer, and I cannot refund postage this way. As it’s a free offer, please do allow up to 3 weeks for delivery (if you need items sooner, please do use my website which should ensure you receive your goods within 3-5 days, though you will then pay the postage). I can then easily arrange payment with you, via Paypal, cheque or debit/credit card payments over the phone – whichever you prefer. This entry was posted in Offers and tagged free p&p, Phoenix Trading, special offers on October 11, 2013 by thereadingresidence. Hooray for the Autumn Range! I’m excitable as we have new products today! The autumn range has been released and it’s very good (no bias here!). There are 76 new products, with plenty of fresh designs to choose from. I’ve just ordered all of them in so I can’t wait to see them all! From what I’ve seen so far, I’m loving Super Heroines, Lazy Dog Days and the Little Kittens packs – so cute! The full range is available on my website here, so can all be ordered now. 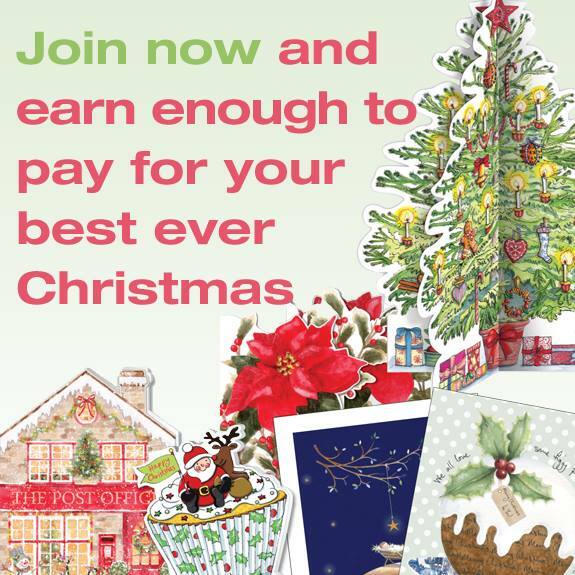 Why not stock up on your every day cards and get your Christmas cards, stationery and advent calendars ordered at the same time? All organised and you’ll only pay delivery once. This entry was posted in Gorgeous Products and tagged Christmas, Christmas card, dogs, Greeting card, jocelyns cards, little kittens, Phoenix Trading, Shopping, Stationery on October 1, 2013 by thereadingresidence. I’m Still Busying Myself Here! I’ve been a little absent from this blog lately, but never fear, it’s because I have been busy! So, I thought I’d best pop by and give you a brief update to reassure you that I’m still here! With the children back at school, and the weather turning decidedly autumnal, people’s thoughts seem to be turning to Christmas, as I’m definitely selling cards and advent calendars! In the last couple of weeks, I’ve got my Christmas catalogues out to my mailing list, I’ve booked in some more at home ‘coffee and cards’, booked a Macmillan coffee morning in, taken sales and orders from my regular baskets, and my website sales are going strong. Those boxes full of Christmas goodies are already dwindling! This entry was posted in My Activities and tagged Direct selling, Phoenix Trading, Team, wahm on September 21, 2013 by thereadingresidence.